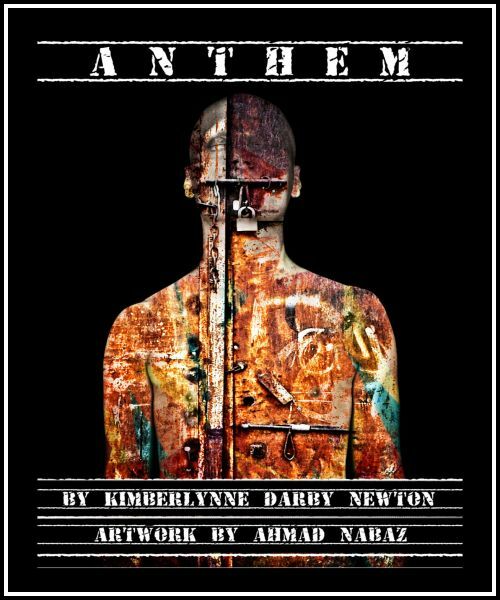 "Anthem is a dialogue in gender and race relations, an African American Poet revealing great suffering and in the telling a crucible for peace. This poetry is a no holds barred truthtelling, that dispells the demons, the raw emotions fashioned into poetic climes brings into the light, dance and celebration in healing. The poetry is in the imago of the Black Madonna, harsh realities told bare bones and through the beautiful essence of the Poet, the Reader is brought to a place of love. Protest poetry, against oppression, sometimes in the Beat tradition, shines a beacon of light into the dark of night. There is occasional rhyme, and a recreation of language in original spaces, using Black meme, she sometimes invents new words, Poet Newton is a very considered and accomplished writer. This poetry is inspirational, as if having been born from listening to the speeches of Malcolm X or Martin Luther King, Jr. It rises like a bird in the blue of sky, taking your spirit high and higher. As if to give both sides their due, both Black and White for black and white people`s are capitalized, a new form in the politics of race relations, perhaps assigning credence to both sides can make people feel better, lessening violence. As if poetry inside the eye of God, of good and all that is right, a gift of the essence of woman, the Black Madonna, a treatise in the power of love. A brilliant read, Anthem by Kimberlynne Darby Newton".